Update: We’ve added an official translation from Nintendo below. Original: After Nintendo put out yesterday’s Super Smash Bros. 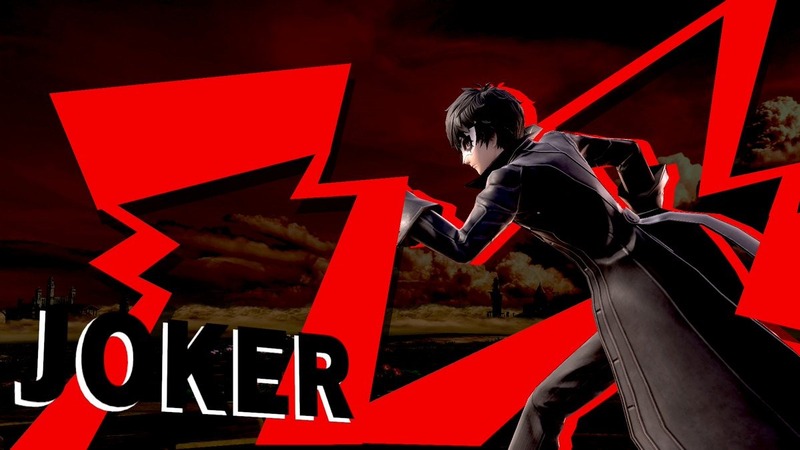 Ultimate video and announced everything pertaining to today’s DLC and update, director Masahiro Sakurai shared a few extra tidbits on Twitter regarding Joker. Thank you for your patience. The Super Smash Bros. 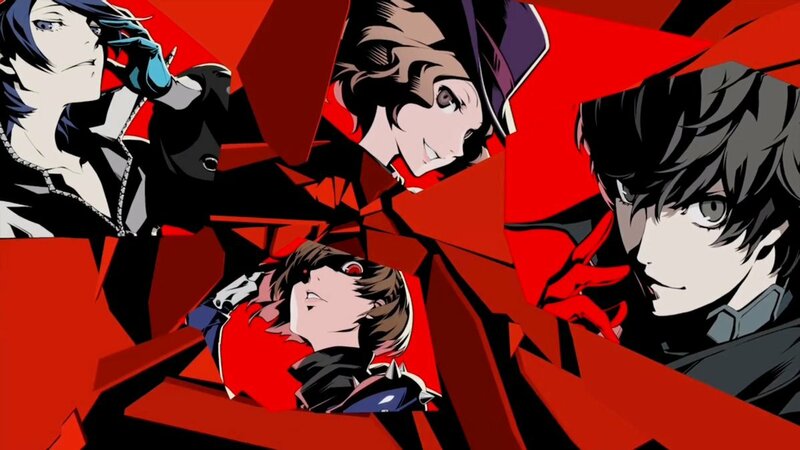 Ultimate version of Persona 5’s Joker is now complete! You’ll find lots of details about the fighter on our official homepage, but I’d like to share a few extra tidbits of info. Are you ready? 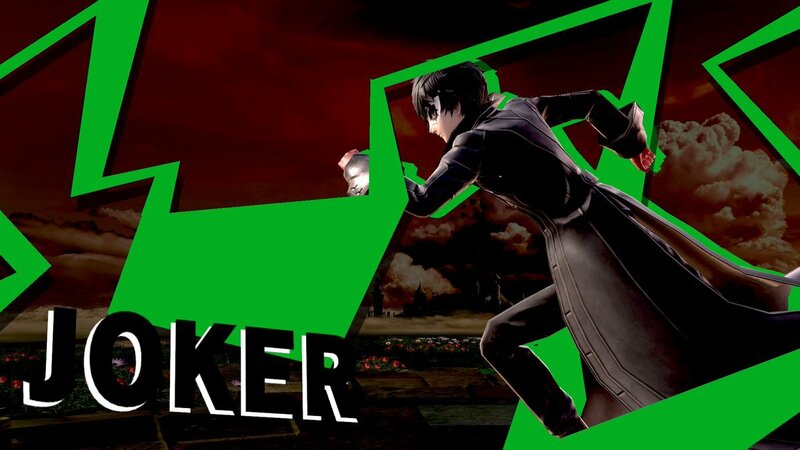 Joker’s victory screen in Super Smash Bros. 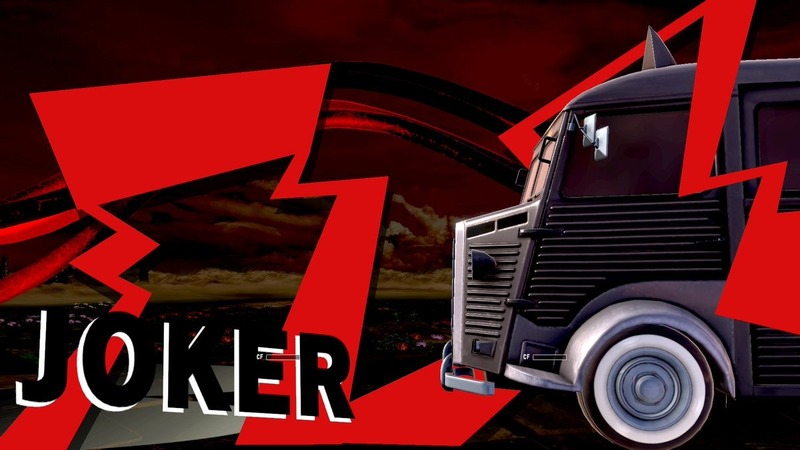 Ultimate replicates Persona 5’s victory screen, but there’s also a version where you ride in the Morgana Car. Did you know you can choose the victory sequence by holding down left, up, or right when “GAME!” appears? 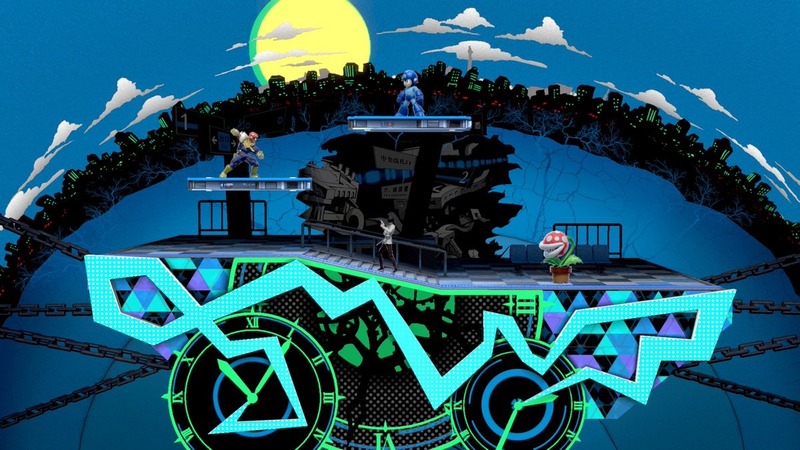 The Mementos stage will change color when music from Persona 3 or Persona 4 is played. 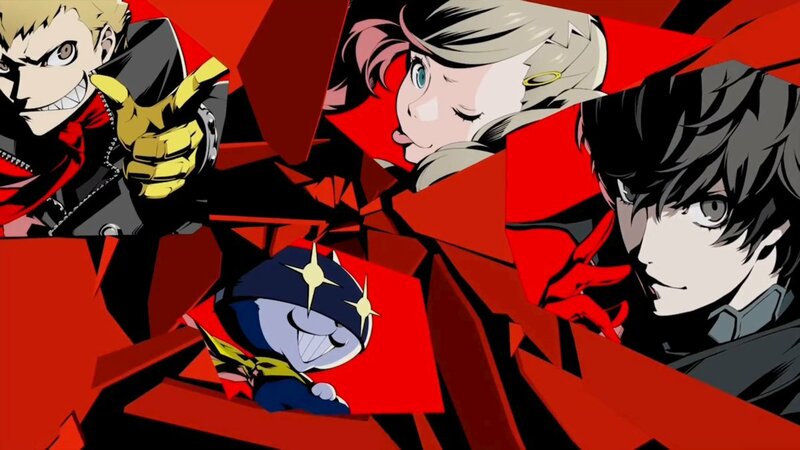 If you have a favorite Persona game, be sure to tweak the music frequency! 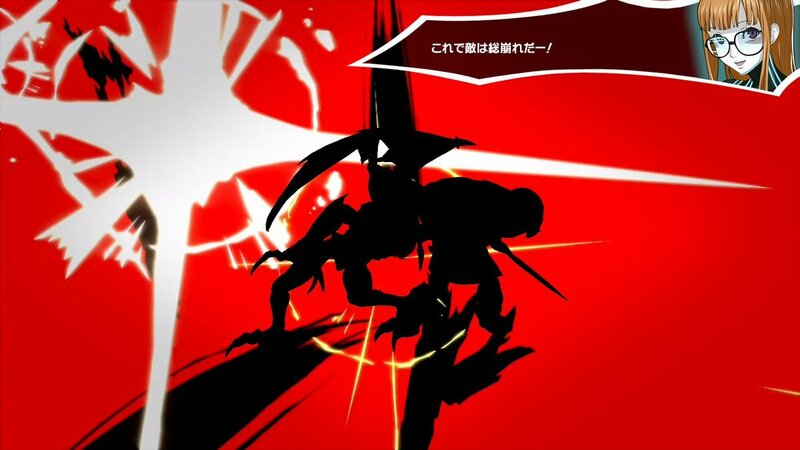 When Joker wins, the victory screen will match the stage’s color & you’ll hear result screen music from P3, P4, or P5. In a Free-for-All with at least three players, the color of Joker’s victory screen will match the player’s color. Perhaps you won’t see green too frequently. 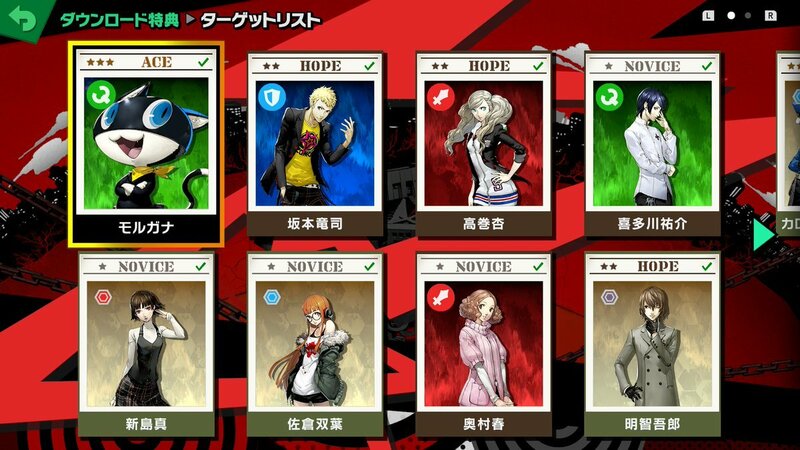 Also, it’s a small detail, but the color selection matches the P3, P4, and P5 base colors. 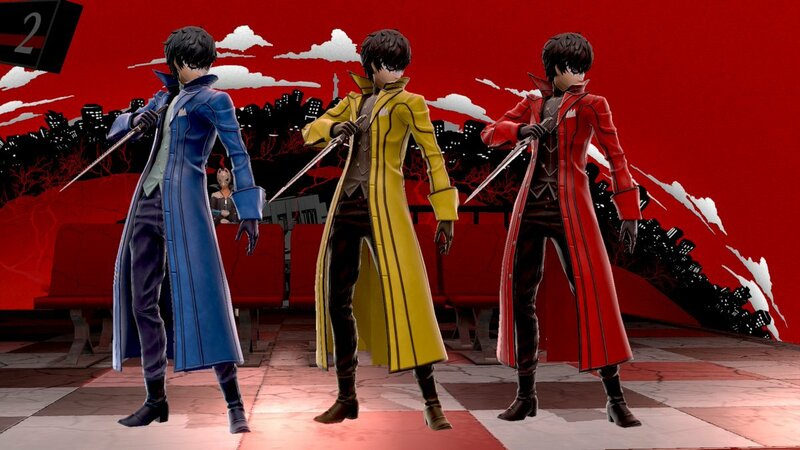 Joker’s Final Smash, All-Out Attack, has two variations that include different members of the Phantom Thieves. 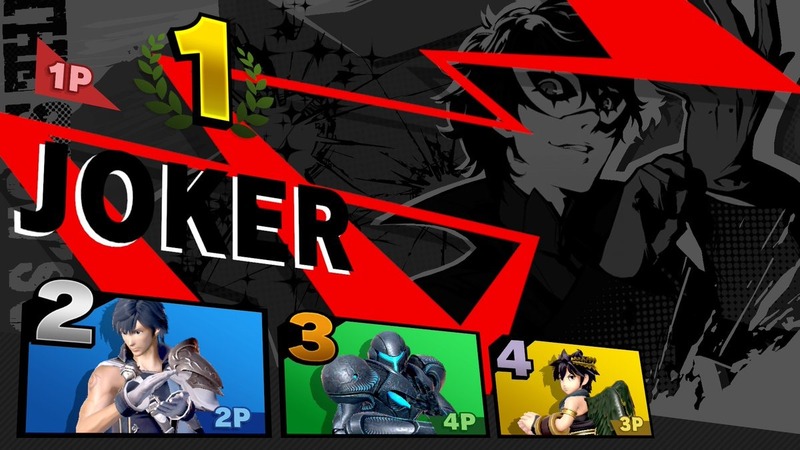 If you win during Stock or Stamina mode using the All-Out Attack, you will go straight to the victory screen, just like in Persona 5. There are 11 songs in this DLC, and it still costs less than a CD single! 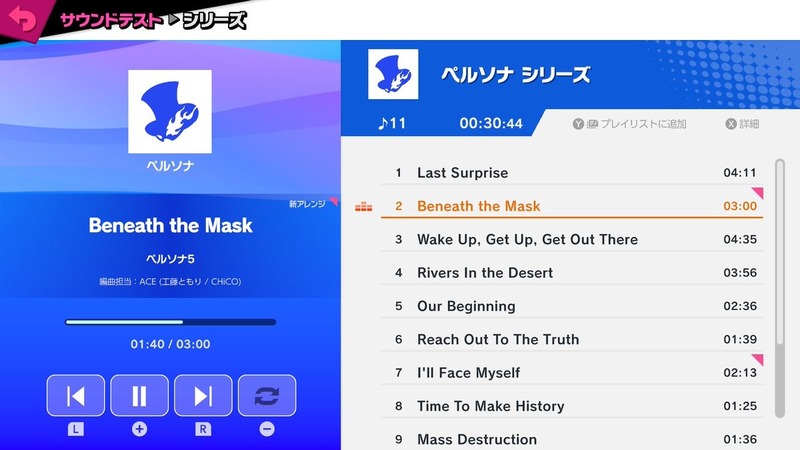 The three newly arranged songs are Beneath the Mask, Aria of the Soul, and I’ll Face Myself (P4). For “Beneath…” ACE-san did the arrangement. The song was newly recorded by the original singer, Lyn-san!! 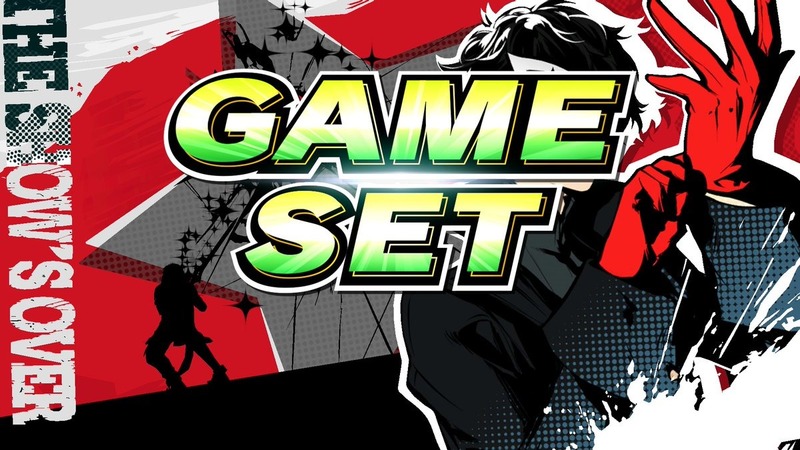 The Phantom Thieves will randomly appear in the Mementos stage. 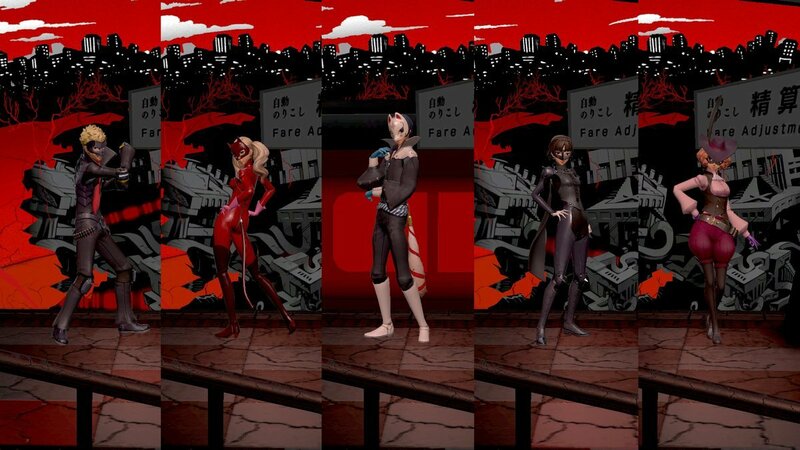 Futaba isn’t there with them, but she can sometimes be heard during All-Out Attack or after winning. The other members also have 3 lines each for the victory screen. All voices for this DLC were newly recorded. As a bonus, we’ve added new Spirit battles with rules tailored to each character. Unlike normal Spirit Board battles, they won’t run away or swap out. You can try as many times as you like until you get the Spirit. 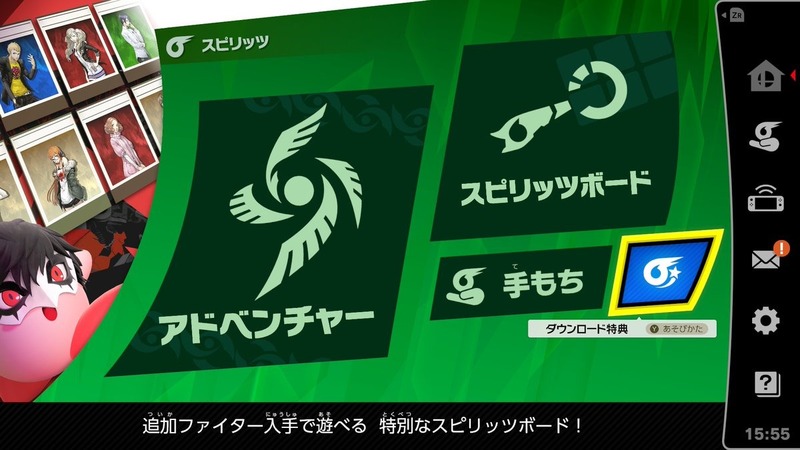 We plan to add more Spirits with each DLC fighter, so stay tuned! And that’s it! 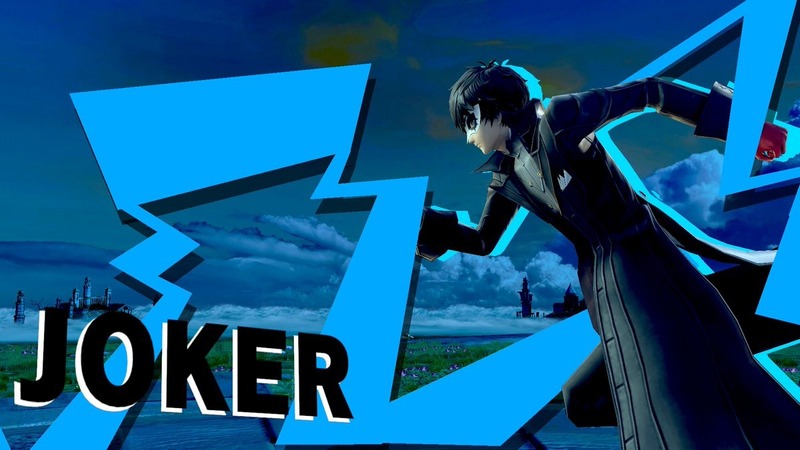 We’re already hard at work on the next DLC and the next, but for now, please enjoy Joker! 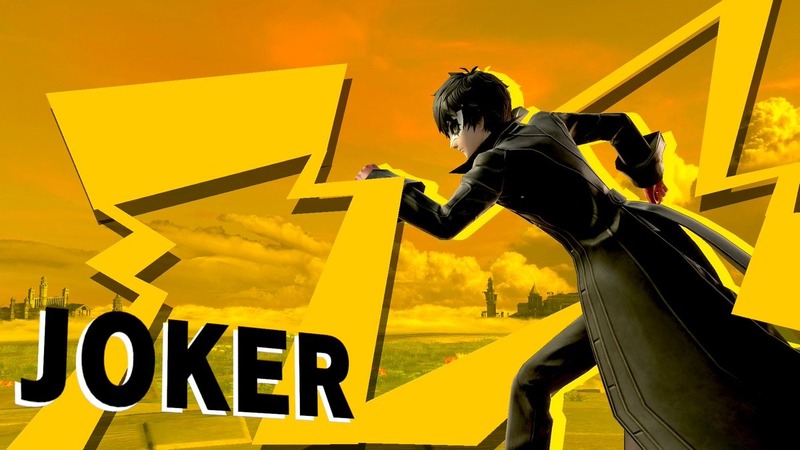 Smash Bros Ultimate.